One of Conor Oberst's labelmates on Nonesuch Records is Natalie Merchant, who released her sixth solo album, self-titled, in 2014. This quietly powerful and thoughtful record, rich with exquisite character studies and sunbeams of soulful reverie, marked Natalie's first collection of new, original songs in over 13 years. We are so pleased that Natalie joined Holiday Cheer for FUV with Conor Oberst and Friends at the Beacon Theatre, since she's always been beloved by this station and our listeners. She was a part of the extraordinary lineup which also included Suzanne Vega, Laura Marling, The Lone Bellow, The Felice Brothers and Jonathan Wilson. From her early years with 10,000 Maniacs, breaking through in a platinum-selling way in 1987 with their third album, In My Tribe, to her eventual solo career which commenced with 1995's Tiger Lily, Natalie has always been a clear-eyed force of socio-political consciousness and plainspoken truth in her songwriting. She's as unique as Björk or Leonard Cohen in adhering to her uncompromised visionary path. Natalie's passions are many and varied, but always centered on the compassionate scope of humanity: she has recorded an album set to 19th century children's poems (Leave Your Sleep) and reveled in feminine strength, wisdom and women's rights via dynamic albums like 1998's Ophelia and 2001's Motherland. She has also made her mark beyond music as an anti-fracking activist and advocate for victims of domestic violence, directing the 2013 documentary "Shelter: A Concert Film to Benefit Victims of Domestic Violence." 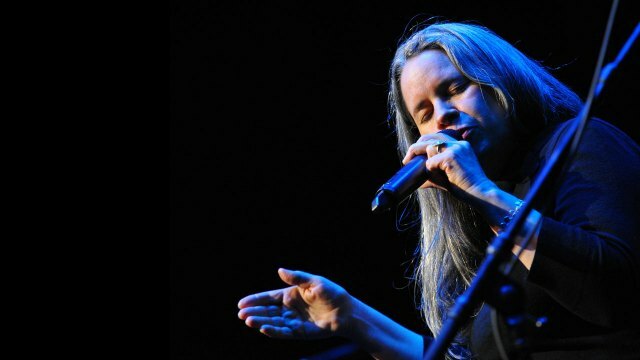 Natalie Merchant is an important American songwriter who has made a difference for her thousands of fans who have grown up to her music ... and continue to pass along her message of fortitude and free-thinking to their children.